220 degrees. That’s the perfect temperature to achieve authentic, slow-smoked barbecue flavor. 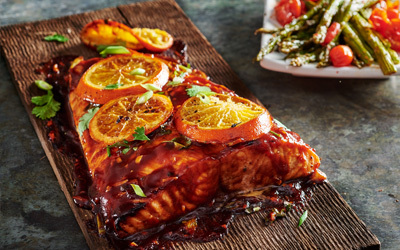 And it’s the inspiration for each of our high-quality Smokehouse 220® sauces. Barbecue flavor is a must for any menu. Our family of barbecue sauces delivers the perfect balance of natural wood-smoke flavor with no artificial flavors or preservatives. Plus, they’re made with no caramel color and no high fructose corn syrup, for a true down-home barbecue taste. Choose from four traditional flavors and four signature sauces, including two new flavors. 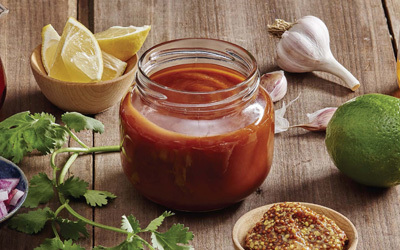 Here’s the creative spark you need to turn these genuine sauces into hot hits on your menu. Make our sauces your recipe for success.